The European Court of Human Rights (ECHR) has released the details regarding the application filed by the former National Anticorruption Directorate (DNA) chief prosecutor Laura Codruta Kovesi, lodged on December 28, 2018. The case has been admitted in principle. 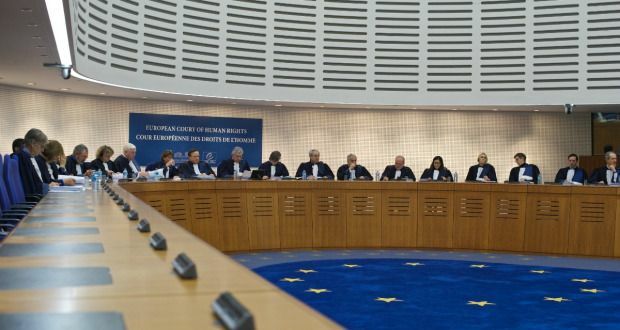 According to the ECHR website, the court has sent four questions to the Romanian authorities on January 30, 2019. Is Article 6 § 1 of the Convention under its civil head applicable in the present case (see Baka v. Hungary (GC), no. 20261/12, 23 June 2016)? If so, did the applicant have access to a court for the determination of her civil rights and obligations in relation to her dismissal from the position of chief prosecutor of the National Anticorruption Prosecutor Department (DNA), in accordance with Article 6 § 1 of the Convention? In view of the applicant’s allegation that her dismissal was a result of the views she had publicly expressed in her professional capacity, has there been an interference with her freedom of expression, within the meaning of Article 10 § 1 of the Convention? If so, was that interference prescribed by law and necessary in terms of Article 10 § 2? Did the applicant have at her disposal an effective domestic remedy for her Convention complaints, as required by Article 13 of the Convention? 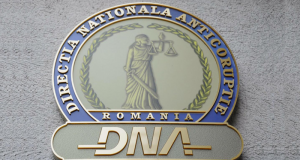 The applicant, a prosecutor, held the position of chief prosecutor of the National Anticorruption Prosecutor Department (“DNA”) from 15 May 2013 until 9 July 2018. By decree of 7 April 2016 her initial mandate had been extended for a three-year period, as of 16 May 2016, i.e. until May 2019. 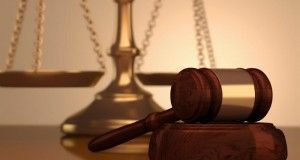 The application concerns the applicant’s inability to contest the revocation from her position of chief prosecutor of the DNA, as well as the allegation that the revocation was the result of views expressed publicly in her professional capacity. On 22 February 2018 the Romanian Minister of Justice held a press conference during which he presented the ministry’s “Report on the managerial activity of the DNA” and announced that he had requested the applicant’s revocation from her position. On 26 February 2018 the Superior Council for Magistracy (“CSM”) communicated the report to the applicant and informed her that a hearing would take place the next day. The applicant presented her arguments against the report before the CSM and argued that the revocation proposal was unlawful and ill-founded. Among others, the report made reference to the applicant’s “vehement critiques in respect of several law amendments, statements of an unprecedented gravity … which have irreversibly affected the image of Romania”. The CSM issued an opinion disagreeing with the minister’s proposal. The Romanian President eventually refused to issue the decree for the applicant’s dismissal. 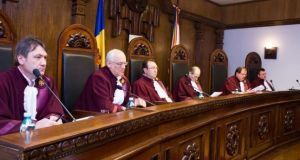 As a result, the Ministry of Justice referred to the Constitutional Court an application to find a “constitutional conflict” between the Romanian President and the Ministry of Justice, because of the President’s refusal to issue the revocation decree. On 30 May 2018 the Constitutional Court adopted Decision no. 358, holding that there was a constitutional conflict between the Romanian President and the Ministry of Justice and ruled that the President was obliged to issue the decree under dispute. The applicant was not a party to the constitutional proceedings, she was not summoned and she could not submit her arguments before the Constitutional Court. On 9 July 2018 the President issued the decree to revoke the applicant from her position of chief prosecutor of the DNA. The applicant complains before the Court that she was denied access to a tribunal to defend her rights in relation to her unlawful dismissal as guaranteed by Article 6 § 1 of the Convention. The applicant also complains that her mandate as chief prosecutor was terminated as a result of the views concerning legislative reforms affecting the judiciary that she had expressed publicly in her capacity as chief prosecutor of the DNA, in breach of Article 10 of the Convention. In addition, the applicant complains under Article 13 of the Convention that she was deprived of an effective domestic remedy in respect of her complaints under Articles 6 § 1 and 10 of the Convention.